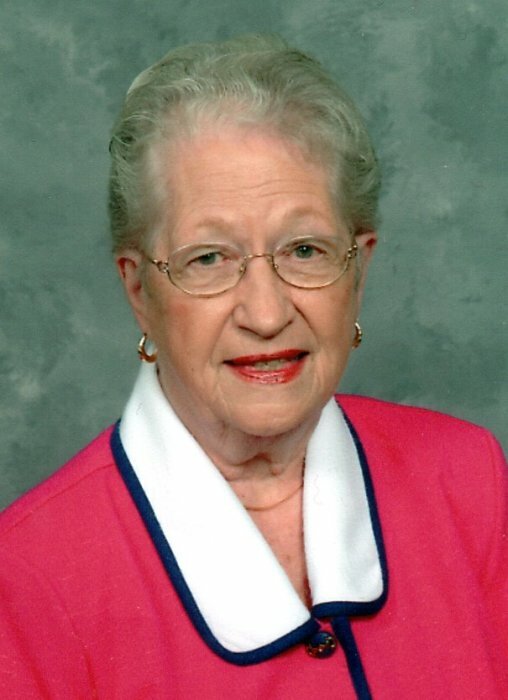 Mom passed away on March 30, 2019, and joined her husband Robert; and her parents, Ora and Harold Myers in Heaven. Eva was born on February 15, 1927. She is survived by her children, Cheryl, Tom, Deborah, and Robert; 7 grandchildren, Aaron, Jennifer (Mark), Tracy (David), Tommy (Katie), Rachel (Donnie), Nicholas, and Katie; 7 great-grandchildren, Amanda, Justin, Morgan, Ozan, Athena, Josephine, and Daphne; sister, Bonnie Scheib; niece, Sandra. Eva enjoyed making cakes for many years in the Manchester area before she and Robert moved to Florida. After Robert passed away in 1997, she moved back to Wadsworth for the last 21 years. She will be missed by the Wadsworth United Methodist Church; close friend, Jill; and the rest of her card club. Special thanks to Summa Hospice, Jessica, and Caleb. The family will greet friends at Bacher Funeral Home, 3250 Greenwich Rd., Norton, OH 44203 on Wednesday, April 3, 2019 from 4 to 7 p.m., where services will be held on Thursday, April 4, 2019 at 11 a.m., with visitation one hour prior. Pastor Dale Turner officiating. Burial will be held at Greenlawn Memorial Park.